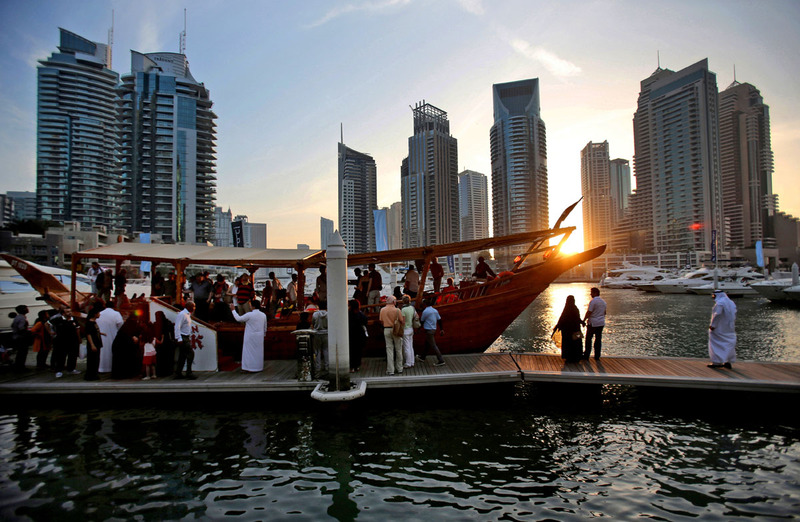 Unlike Manhattan, though, Dubai’s year-round sunshine gives the Marina a summer vibe throughout the winter months, when temperatures rarely drop below 75 degrees Fahrenheit (24 Celsius) during the day. 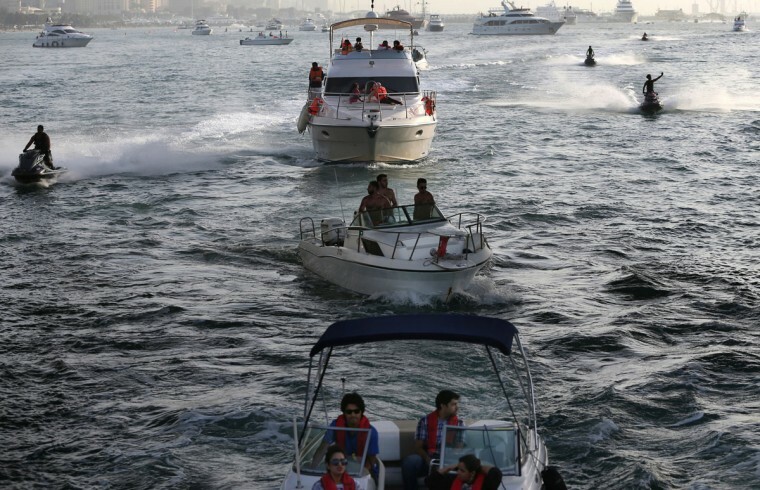 On weekends, alcohol-fueled party boats ferry Russian and Western expatriates down the canal as speed boats and jet skis buzz in the water. 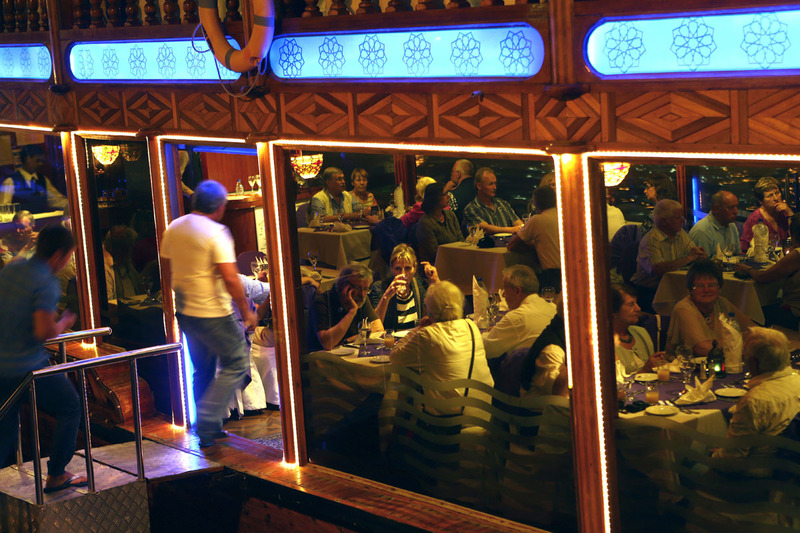 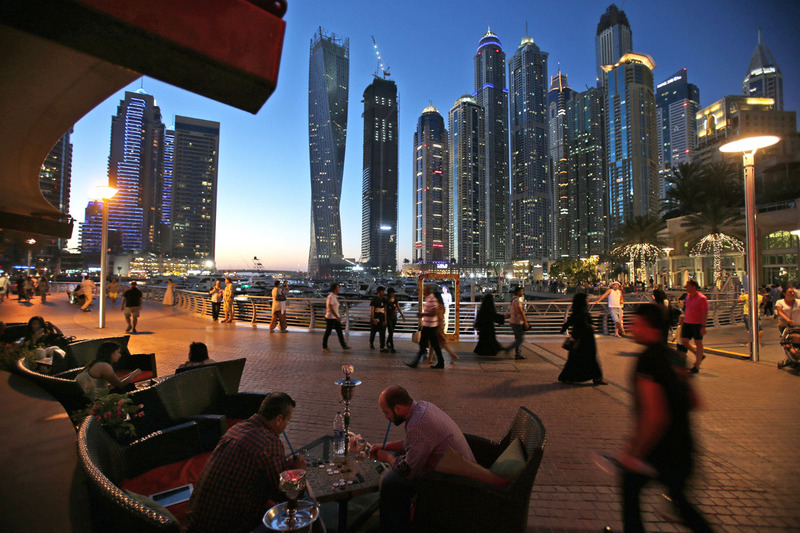 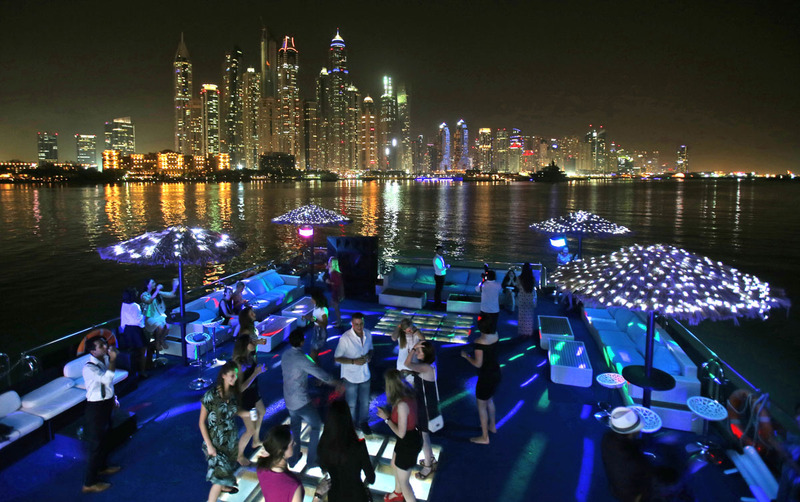 Trendy restaurants and bars along the canal reflect the myriad of cultures and people drawn to Dubai, a modern city-state in the United Arab Emirates where foreigners far outnumber the locals. 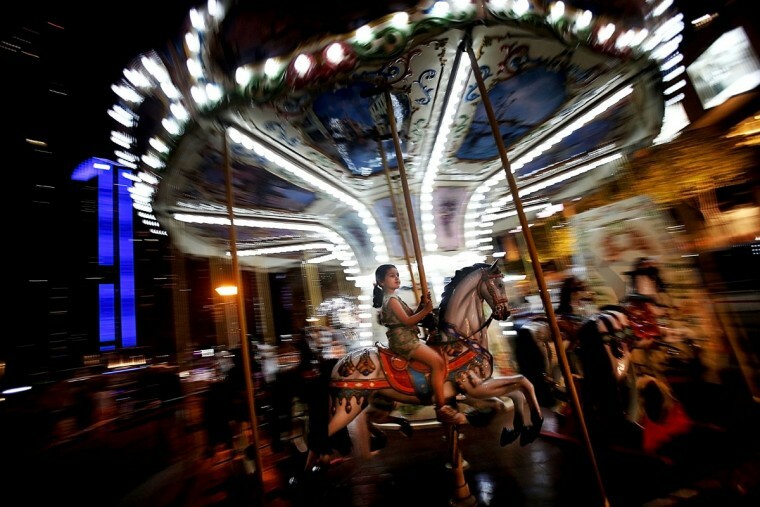 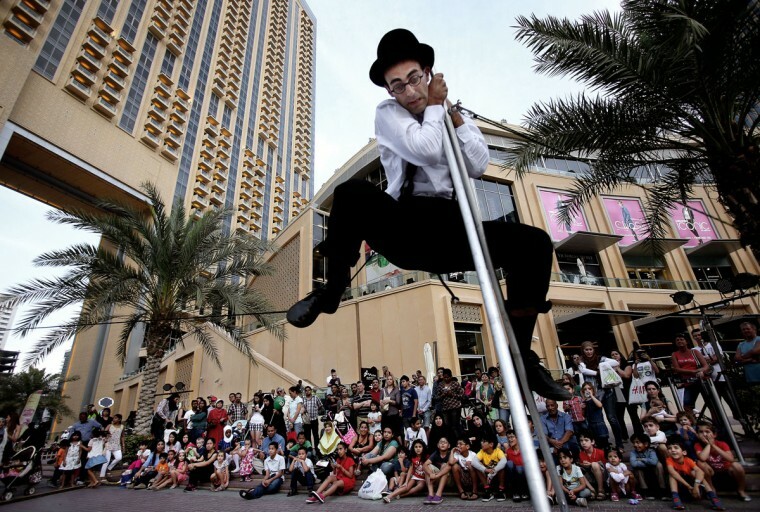 Children can ride on a carousel, splash in a fountain and watch street artists perform on the canal’s promenade. 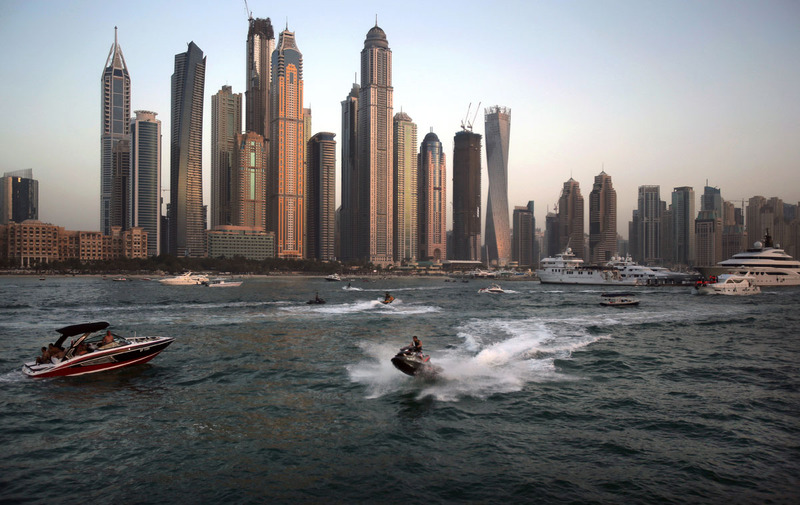 Around sunset, when the blistering heat of the day begins to subside, people jog and ride bikes. 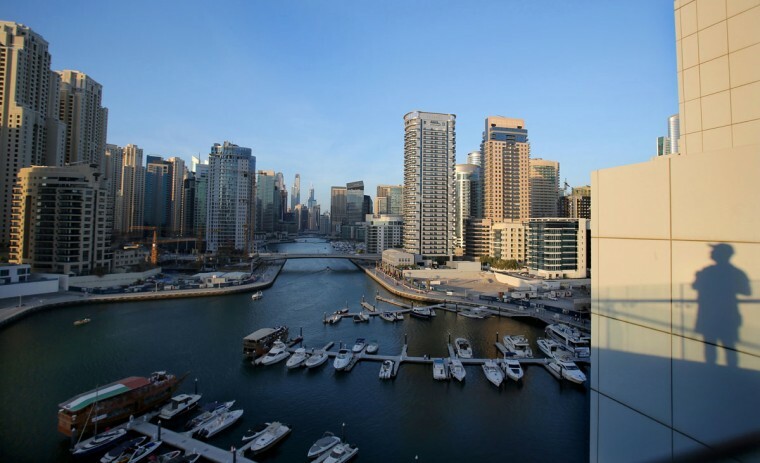 The Marina boasts the world’s tallest residential building, the Princess Tower, which reaches 1,355 feet (413 meters) high. 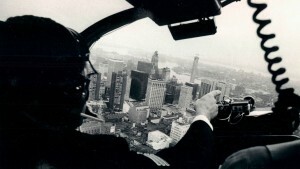 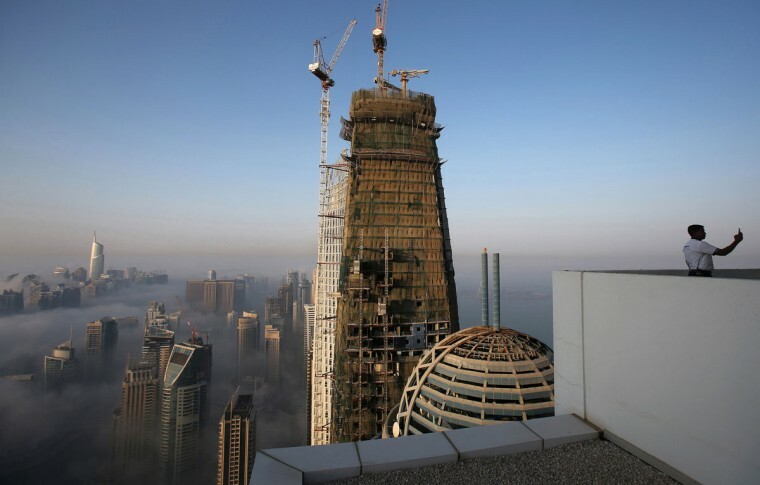 The Marina 101 is currently being built to soar to 1,417 feet (432 meters). 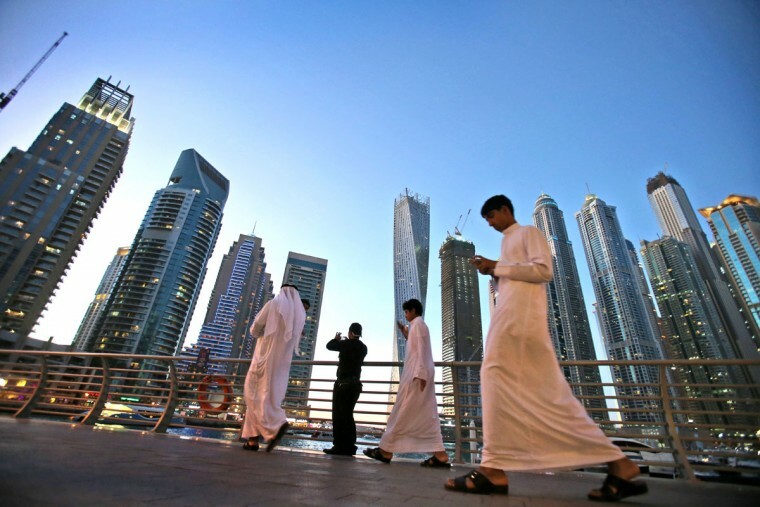 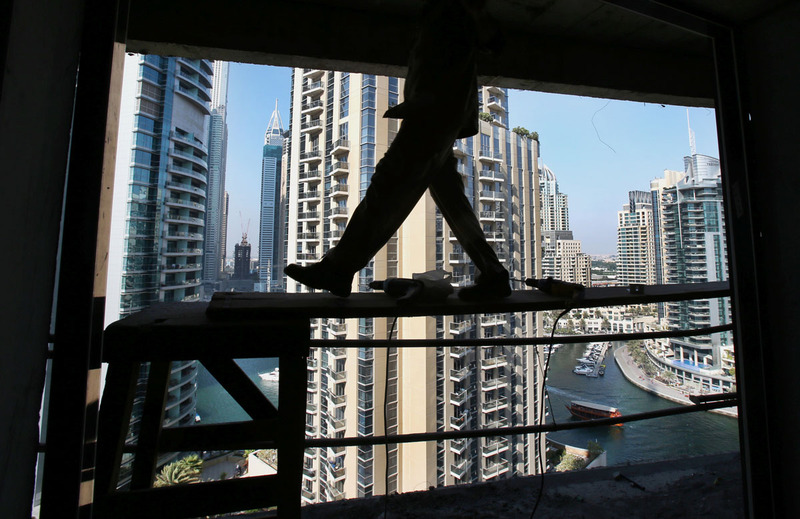 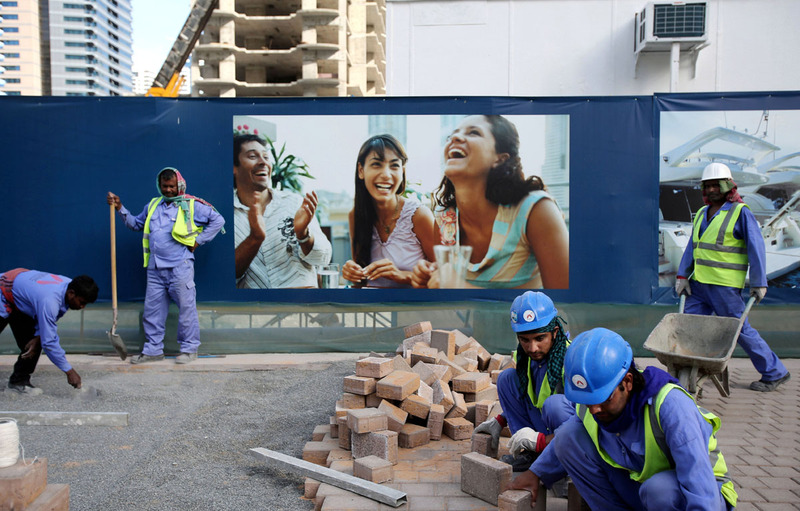 The neighborhood is one of many clusters of neck-bending skyscrapers throughout Dubai, built by armies of low-paid migrant workers, many of them from the Indian subcontinent. 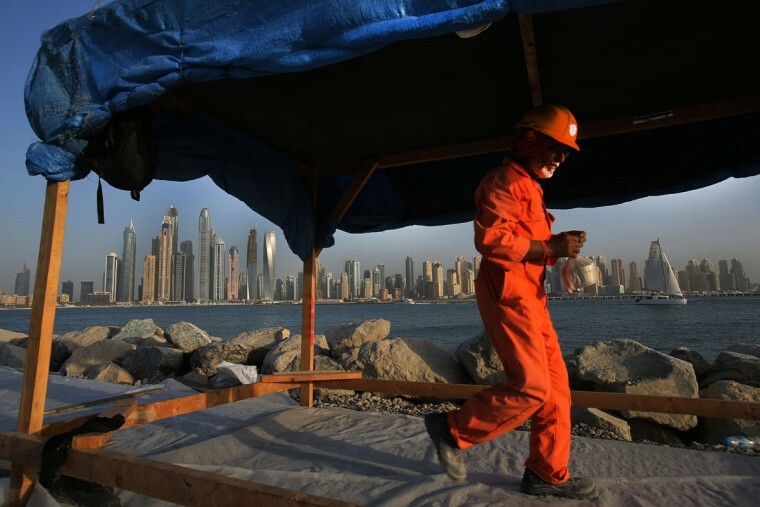 These workers provide the manpower to build high-rises, shopping malls, highways and other mega-construction projects sweeping through the region. 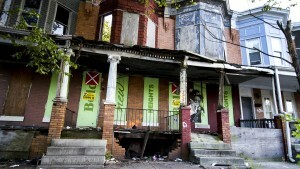 While the wages they come for offer hope of a better life, they are far too meager for most to ever dream of calling the Marina they built home. 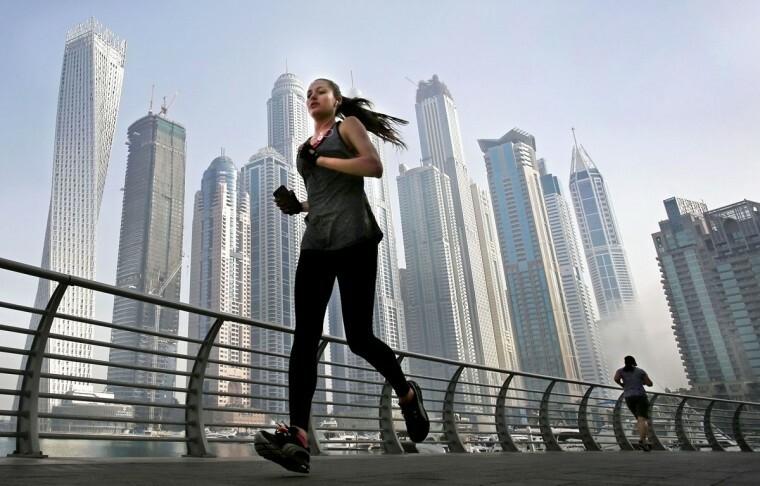 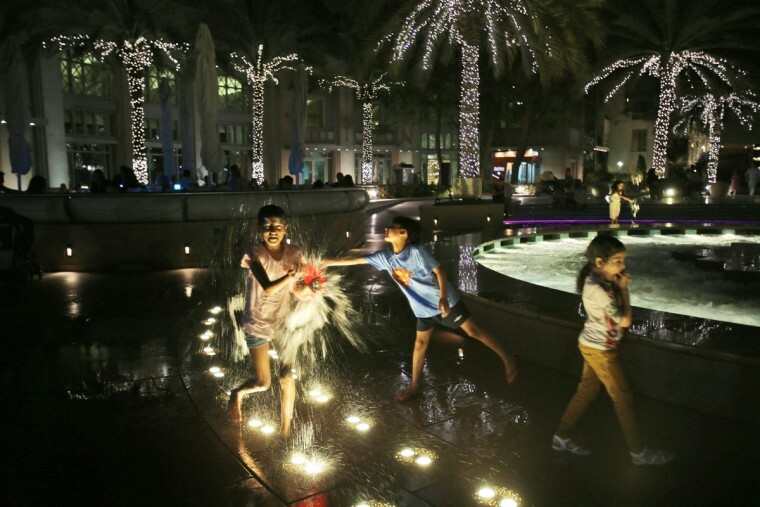 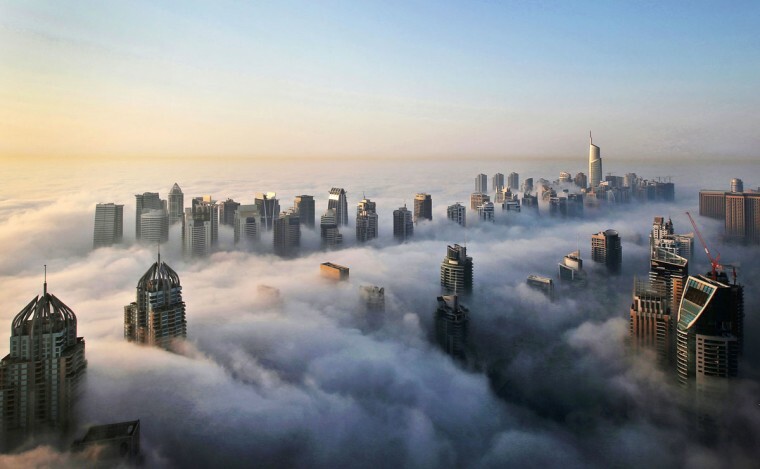 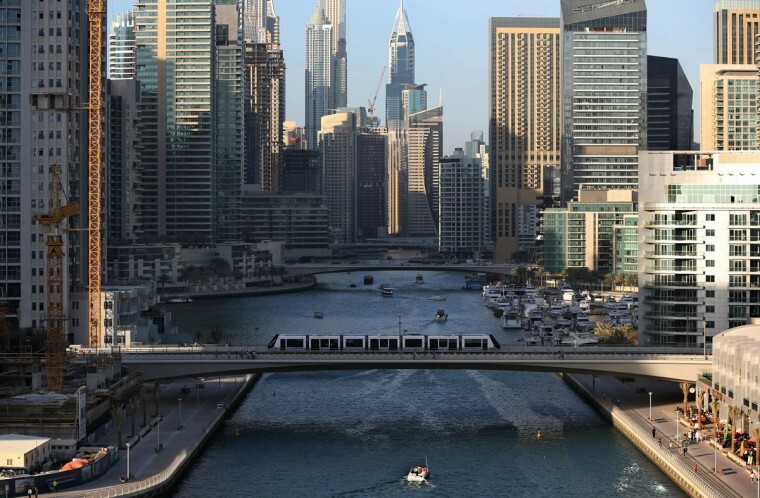 Above is a series of photos taken by Associated Press photographer Kamran Jebreili, who captured moments of daily life throughout Dubai Marina.